Can you believe it's been 5 years already? Five years ago I wrote my first post on Bookish, and man, I did not expect this journey to be so long and incredibly rewarding. 5 long years of reading, sharing my love for books, raving and exchanging opinions with fellow book lovers. And you know what? I loved and cherished every second of it, though God knows it wasn't always easy and thoughts of quitting kept creeping back every now and then. I am incredibly grateful to be part of this phenomenal community. I have made so many friends, met some truly remarkable bloggers, authors and publicists. I couldn't ask for more. Thank you for trusting me, for reading my reviews, for visiting our blog and for always being there, ready to talk books and go all fan-girl with me when we discover yet another awesome read! Thank you to my amazing blog partners and co-bloggers - you are irreplaceable and I love you. Thank you to the rock-star authors - without you, we-bloggers- would not exist. Thank you to the fabulous publishers - you put your trust in me every time you reach out to me and send a review copy my way. I am beyond humbled and honored to be working with you. and THANK YOU to all my fellow readers, blog followers, twitter chat-partners - you are my driving force, you make my day with your comments, tweets, retweets, likes and emails. You motivate me. You make me want to be a better blogger. 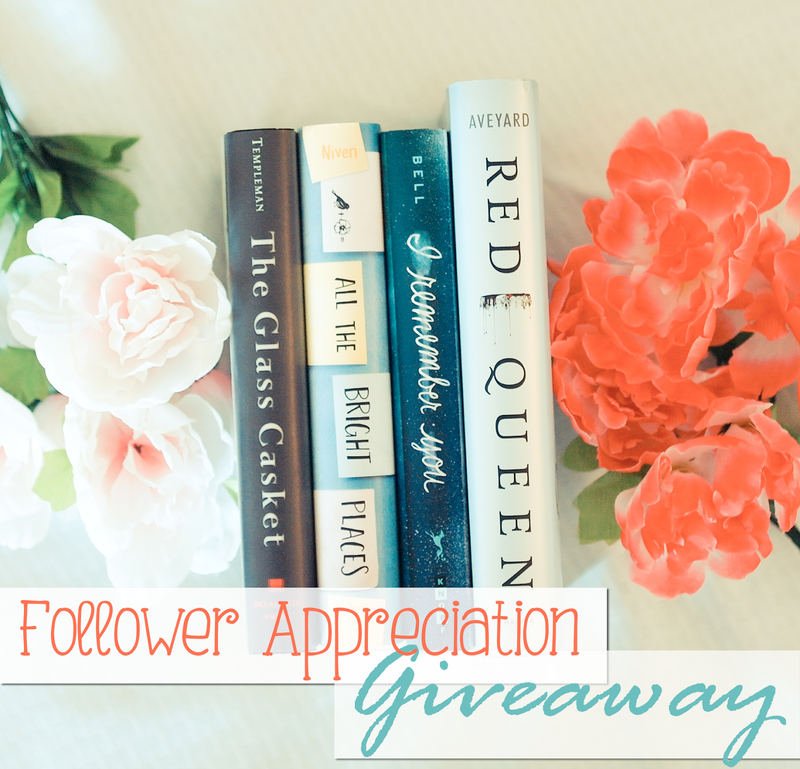 and this giveaway is for you, my dear followers - sharing the books I loved so you can enjoy them, too!